NEW FOR 2016/17 MCB VINTAGE T-shirts !!! 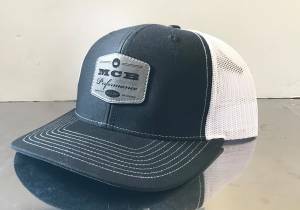 Description: Classic trucker cap style with leather MCB logo on the front, and adjustable mesh back. One size fits most.